Medical Hologram Projector at trade show booth. In a busy trade show environment exhibitors may find it difficult to stand out in the competition to attract visitors to their trade show booth. Trade Show Holograms has been helping exhibitors draw crowds with a popular piece of ” eye candy “. 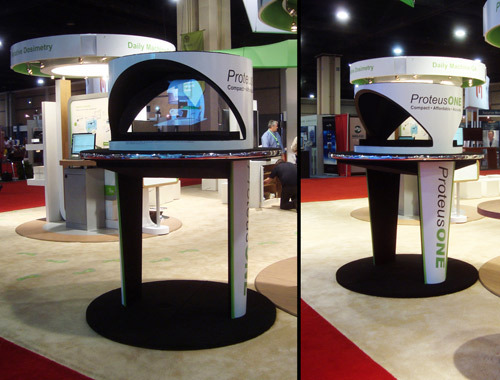 This holographic illusion kiosk displays a 3D full motion holographic presentation featuring the clients product or message. Magician Timothy Drake has developed this technology to a point it can be displayed in the limited space available at the average trade show booth. 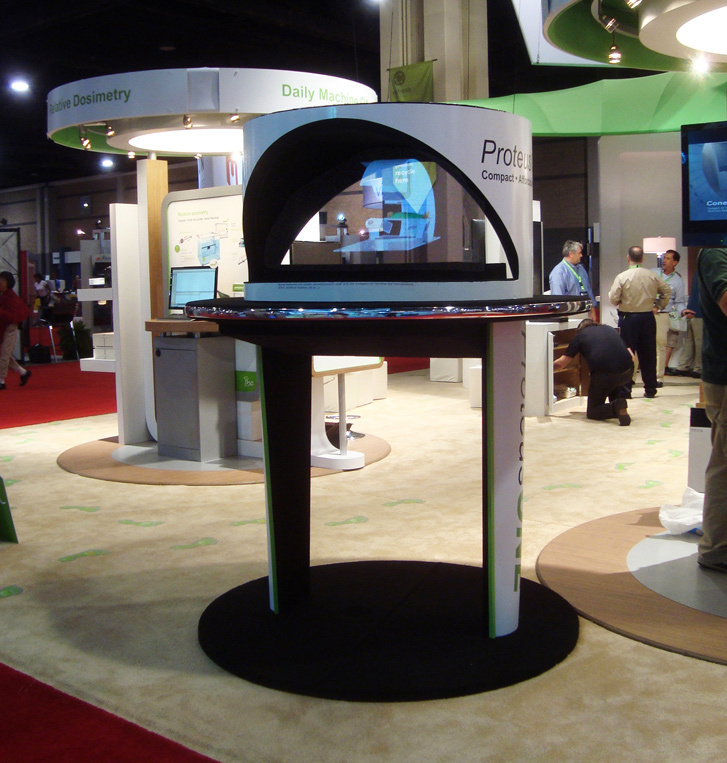 The holographic displays have been featured at trade shows and conventions across North America. Drake states that the holographic presentation can feature full color and audio for maximum impact. They are available in standard sized models and larger models perfect for corporate press conferences.